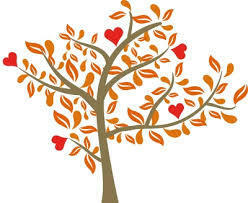 THROUGH OUR LEGACY TREE, WE GIVE YOU A FANTASTIC WAY TO GIVE BACK! We want your family, children and friends to be remembered in a special way. Through our newly created Legacy Tree we can do this together! This vibrant wall sculpture enhances the end of the driveway into the school. You can help the tree “grow” by purchasing a bronze, silver of gold leaf with your/your families name. At the same time, your generosity will inspire and support future generations of families.